EUE/Sokolow Entertainment is mourning the passing of our founding partner, Creative Director and dear friend Jeff Cooney. Jeff’s leadership, tireless energy and creative vision will be missed beyond words. While his name and talent live on in shows like Nat Geo’s GENIUS, his spirit will live on in all the work we do at EUE/Sokolow. EUE/Sokolow Entertainment was founded by producer/director Jeff Cooney and veteran television producer Sam Sokolow. Cooney & Sokolow are established television producers in today’s thriving television marketplace. EUE/Sokolow attracts high-end talent to develop television properties to be sold directly to network decision makers. What makes EUE/Sokolow unique is its use of its production infrastructure and experience to produce 10-minute pilot/presentations (“mini pilots” of scripted shows and “sizzle reels” of non-scripted shows) of show concepts that are used in the sale of properties to networks. The show creators are able to cast, design and bring their vision to life. Providing top show creators this artistic/creative freedom gives EUE/Sokolow a competitive advantage over studios/conglomerates when courting talent and when pitching these shows to networks. As veteran show runner Caryn Lucas (ABC’s THE NANNY, ABC Family’s YOUNG & HUNGRY) recently said after finishing production on EUE/SOKOLOW ENTERTAINMENT’s pilot/presentation SHALOM Y’ALL, “this is the only way I ever want to work again – you’ve ruined the studio system for me”. Cooney & Sokolow are currently in pre-production on GENIUS, a straight-to-series order by Nat Geo that will be produced in partnership with Fox 21 Studios, Imagine Entertainment and OddLot. The first season of GENIUS will be based on Walter Isaacson’s best seller EINSTEIN with Ron Howard slated to direct and Ken Biller signed on as showrunner. Cooney & Sokolow are also in production on a pilot for Freeform called 23. The duo recently completed production on the first season of VACATION CHASERS, a non-scripted series that it produced for HLN and THE REAL SVU, a true crime pilot for Lifetime Movie Network. In the last several years, Cooney & Sokolow have set up shows as executive producers at HBO, ABC, NBC, Freeform, Nat Geo, TNT, E!, Lifetime Movie Network, HLN, OWN & Travel Channel. EUE/SOKOLOW ENTERTAINMENT INC. now opens up the business of television to outside investors. EUE/Sokolow Entertainment is always in development or production on high end television shows. Here is a sample of our current work. Chris Cooney is the Chief Operating Officer of EUE/Screen Gems, Ltd. He is also the co-owner of EUE/Screen Gems Studios. 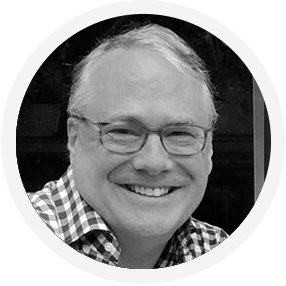 Cooney is known for his collaborative style, his eye for art and his experience with facility management, international content distribution, integrated media solutions, branded content and online content development. Cooney is based in New York City. Today, Cooney focuses on two core businesses: studio facilities and content development. The production studios are based in Atlanta and Wilmington, NC with a new studio scheduled to open in Miami in fall, 2015. EUE/Sokolow is based in Los Angeles and New York City and focuses on television development and production in the scripted and unscripted arenas. In 2010 as COO of the combined facilities, Cooney led the team into Atlanta where the facilities have enjoyed a robust television success with clients such as “The Hunger Games: Mockingjay” – Parts 1 and 2 (Lionsgate), “Satisfaction” (NBC Universal for USA Network) and “Devious Maids” (ABC for Lifetime). Prior to his role as COO, Cooney held roles as Head of Production for EUE/Screen Gems, Ltd.; Vice President-In-Charge for Facilities in Wilmington, NC and New York City; and Vice President of Physical Production. Cooney became the chief executive officer of First Look Studios in 2000. At First Look, a boutique motion picture production and sales company, Cooney worked on projects such “Before Night Falls” starring Javier Bardem and “Eveyln,” starring Pierce Brosnan. In 1996, Cooney led EUE/Screen Gems in the acquisition of DeLaurentis Carolco Studios in Wilmington, NC. Under his leadership, the studio became the heartbeat of the East Coast film industry. The North Carolina incentive and the newly constructed Stage 10, a 37,500 sq ft, column-free sound stage, lured blockbuster film productions. The studios landed “Journey 2: Mysterious Island” in 2011 and Marvel’s “Iron Man 3” in 2012. Television has long been a part of Wilmington’s success story with “One Tree Hill” and “Dawson’s Creek” enjoying long runs on the lot. Most recently, the Wilmington studios have hosted “Under the Dome” (CBS), “Sleepy Hollow” (Fox Television), and “Eastbound and Down” (HBO). Mr. Cooney received his B.A. from Boston University in 1983. Sam Sokolow is a two time Emmy nominated producer and currently the President of EUE/Sokolow, a Los Angeles and New York based independent television studio. EUE/Sokolow sits at the cross roads of premium television & digital distribution, A-List talent, Intellectual Property and physical production. At EUE/Sokolow, Sam oversees all aspects of television & film development and production, including script and format creation & the packaging of intellectual properties as well as full third party production services — every aspect of bringing television shows, limited series and films to market. Currently, Sam is executive producer of GENIUS, a scripted series for National Geographic Network. The first season of GENIUS depicted the life of Albert Einstein with Geoffrey Rush starring as Einstein and Ron Howard directing the pilot. GENIUS: EINSTEIN garnered ten 2017 Emmy nominations including a Best Limited Series nomination for Sam. The second season of GENIUS – GENIUS: PICASSO – depicted the life of Pablo Picasso with Antonio Banderas starring as Picasso and garnered seven 2018 Emmy nominations including a Best Limited Series nomination for Sam. Nat Geo has announced a third season of GENIUS which will depict the life of Frankenstein author Mary Shelley and which will premiere in 2019. Sam is currently developing series based on books by authors such as Tom Wolfe, TC Boyle, Deepak and AJ Mendez Brooks. Since opening their doors at the beginning of 2011, EUE/Sokolow has set up television projects at HBO, ABC, NBC, Nat Geo, TNT, Freeform, E!, LMN, CNN, OWN, Travel Channel, MGM Television, NBC Universal, Fox 21 Television Studios, Sony and eOne. 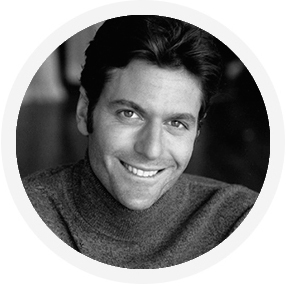 Previously, Sam served as a founder and Co-CEO of SokoLobl Entertainment, an independent television production company based in Los Angeles where he executive produced 10 original series. Prior to that, Sam co-wrote, produced and directed the award-winning independent feature film The Definite Maybe, starring Josh Lucas, Roy Scheider and Bob Balaban. In 1999, Sam became the first filmmaker to self-distribute his own feature film via the Internet, a groundbreaking initiative that landed him on Good Morning America and in Time Magazine. In 2000, Sam served as Co-President of Homemade Entertainment, a venture capital backed television content website. In 1999, Sam worked in the marketing department of the NFL in New York, where he helped develop strategic marketing campaigns for the NFL brand. 1994 to 1997, Sam served as a television & radio commercial producer for Wells, Rich & Greene Advertising. He was an Associate Producer on Barbara Kopple’s Emmy Award-winning CBS movie Fallen Champ: The Untold Story of Mike Tyson. From 1993-1994, Sam held a position as a staff reporter for the New York Daily News covering crime and community affairs for the Manhattan and Queens Metro section. Sam graduated from Boston University’s College of Communications with a degree in Broadcasting/Film Production in 1991. Sheila Hawkins was born and raised in Spartanburg, South Carolina. She discovered at an early age that one of her main passions was becoming a hairstylist. 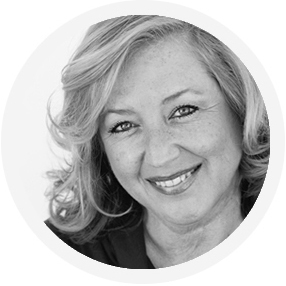 At the young age of 23, Sheila opened up her first hair salon and became one of South Carolinaʼs most successful hair salon owners, ultimately owning three salons and receiving multiple styling awards for the state of South Carolina and southeast region. In 1999, after receiving her teaching certification form Clemson University, she expanded her booming business into a Cosmetology school; Sheila ran the Institute of Cosmetic Arts until 2004 when she sold her business to the Kenneth Shuler Schools of Cosmetology. In 2004, Sheila moved to Los Angeles, California to pursue her other passion: television production. Since 2004, Sheila has worked in television for companies that include: SokoLobl Entertainment and Madison Road Entertainment. In 2010, Sheila became the Director of Development West for EUE/Sokolow, an EUE Screen Gems television company. For the past 10 years, Sheila has developed over 200 television shows and produced numerous shows for the web and for television networks such as: ABC, NBC Universal, CBS, Travel Channel, HLN and LMN. For fun, Sheila enjoys making videos with her friends for their very popular web series “Sh%t Southern Women Say” and “The Dixie Download”.